Hundreds of Austrian sociological authors were persecuted and exiled during fascism between 1933 and 1945, most of them Jews, but also a large number of non-Jewish liberals, democrats, socialists and communists. The repression began during “Austro-fascism” between 1933/34 and the “Anschluss” to Nazi Germany in March 1938 – which was welcomed by most of the Austrian population. As soon as Austria joined the “Third Reich” German forces and Austrian volunteers unleashed a wave of terror imprisoning more than 70,000 people in a few days. While tens of thousands managed to flee, many thousands more were murdered in prisons and concentrations camps. But even if the number of exiled and murdered Austrian artists and scientists was relatively high, exile research in Austria started very late. Up to today Austria has not a single professorship for exile and/or holocaust research, as pointed out by the Austrian Society for Exile Research. Information on exiled Austrians rarely reaches a broader public, and when it does it is usually in the form of a short reference to when an exiled person dies, as occurred recently when Carl Djerassi (1923-2015), inventor of the birth control pill, died on January 30, 2015. Reinhard Müller compiled a list of 361 Austrian sociological authors exiled between 1933 and 1945. The list can be found on the web site of The Archive for the History of Sociology in Austria at the Institute for Sociology at Karl Franzens University Graz. All authors listed have published at least one book or several journal articles in the field of sociology. Müller’s list is filled with well-known names. Among them Viennese psychiatrist Alfred Adler (1870-1937), founder of individual psychology, who fled to the US in 1934, and the famous psychiatrist and psychoanalyst Wilhelm Reich (1897-1957), who fled to Denmark in 1933, Norway in 1934 and then moved to the US in 1939. Sigmund Freud (1856-1939), founder of psychoanalysis, was exiled to London three months after the “Anschluss”. The Viennese Jewish children psychologist and psychiatrist Bruno Bettelheim (1903-1990) spent close to one year in the concentration camps Dachau and Buchenwald before he was expelled to the US in 1939 due to international pressure. Karl Mannheim (1893-1947), Austro-Hungarian and one of the founders of classical sociology and sociology of knowledge, fled to Great Britain in 1933 after having been ousted from his German professorship. Founder of substantivism Karl Polanyi (1886-1964), author of the classic “The Great Transformation”, fled to London in 1933, after he was forced to resign from his job at the economic journal “Der Oesterreichische Volkswirt” for being a socialist. In 1940 Polanyi moved to Canada. Austrian jurist, legal philosopher and political philosopher Hans Kelsen (1881-1973) was removed from his professorship in Cologne, Germany, in 1933 because of his Jewish ancestry and his social democratic tendencies. He fled first to Switzerland and moved to the US in 1940. Austrian social theorist and feminist Viola Klein (1908-1973) fled to GB in 1939. Klein became an important feminist sociologist. Her most influential book was “Women’s Two Roles: Home and Work” (1956), published together with Alva Myrdal. Suzanne Keller (1927-2010) fled with her family to the US in 1939. Keller became sociology professor at Princeton University, conducting pioneering research on the elites of the US industrial society, publishing the classic of elite research “Beyond the Ruling Class”. Among the most astonishing personalities and most important contributors to sociology and socialism is Marie Jahoda (1907-2001), born in Vienna to a Jewish family. She started her militancy in socialist organizations as a teenager, studied for two careers simultaneously and became Austria’s youngest doctor when she finished her PhD in psychology at the age of 25. By that time she was already working on what should become a classic of sociological research: “Die Arbeitslosen von Marienthal” (1932; English ed. 1971 – “Marienthal: the sociography of an unemployed community”). The investigation studied long term social impacts of unemployment on a small industrial district with high levels of unemployment. After having been imprisoned for nine months by the Austro-fascist regime she fled to GB in 1937 and worked as an assistant to Marx Horkheimer. After WWII she moved to the US and worked as a professor of social psychology at New York University. In 1965 she was hired as a professor of social psychology at Sussex University in GB. Jahoda published several books and articles considered major contributions to social psychology. Her scientific legacy can be found at The Archive for the History of Sociology in Austria. Among the exiled and murdered sociological authors we can find a great number of socialists and Marxists, as Austro-Hungarian Jewish philosopher and sociologist Georg Lukásc (1885-1971), expelled from Austria in 1930. The leading theorist of “Austromarxism,” Otto Bauer (1881-1938), political scientist, economist, politician and vice president of the Austrian Social-Democratic Workers‘ Party (SDAP) from 1918 to 1934, exiled in 1934 to the Czech city of Brno and in 1938 to Brussels, Belgium. He died in Paris the same year. His writings on nations and ethnic groups were a major contribution to socialist theory in the field, while his book “The Austrian Revolution”, is a vivid account still worth reading. 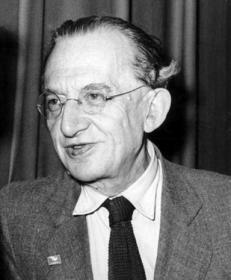 Jewish Austro-German-Polish Marxist sociologist Leo Kofler (1907-1995) fled to Switzerland in 1938. After WWII he settled in East Germany where he rapidly clashed with Stalinism and therefore moved to Cologne, West Germany. Kofler was one of the few well-known Marxist intellectuals in postwar Germany. Communist writer and social scientist Otto Heller (1897-1945) fled to Switzerland in 1933, spent two years in Moscow and moved to Paris in 1936. He continued to be politically active, was arrested by the Vichy regime in 1941, managed to escape and worked with the French Résistance, infiltrating the German Wehrmacht as translator. He was arrested by the Gestapo at the end of 1943 and imprisoned in Auschwitz. In early 1945 he was transferred to the Austrian concentration camp Mauthausen, and shortly thereafter he died in the camp Ebensee. Once the home of highly evolved art, science and culture, Austria managed to chase away or kill its most brilliant minds in the range of a couple of years.